"So simple with just two ingredients, but whenever I've brought it to a party, I'm always asked for the recipe, as though there must be a lot to it. Scrumptious! Serve with your favorite crackers!" 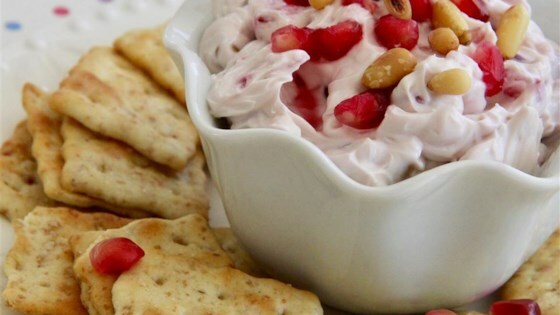 Gently stir pomegranate seeds into the softened cream cheese so as to keep the seeds from bursting; shape into a ball.